There are three main types of dropped kerbs, as demonstrated in the images below. 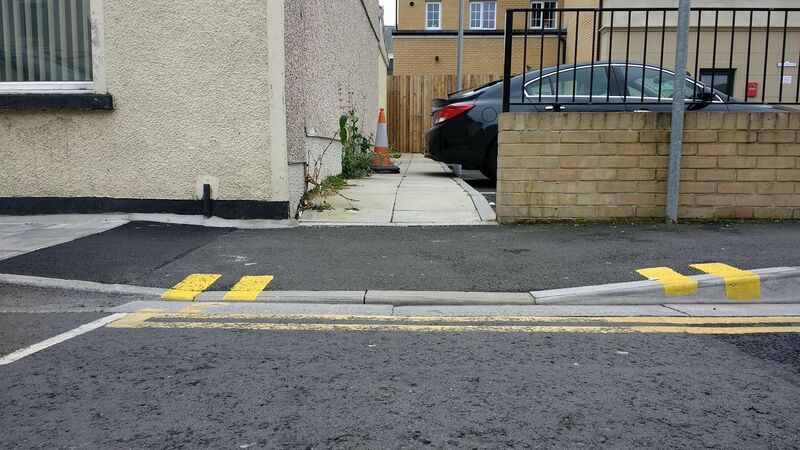 It is illegal to obstruct any of these dropped kerbs. Doing so could result in a £70 fine. It is up to the local authorities to issue these fines. 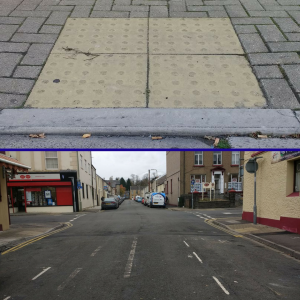 Since 2008, you can be fined for parking in front of a dropped kerb even if there are no signs marking it out as a designated dropped kerb (e.g. 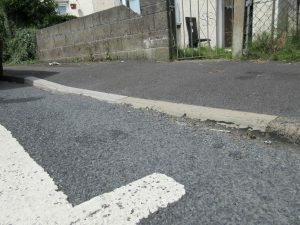 a white ‘H bar’ marking or double yellow lines). 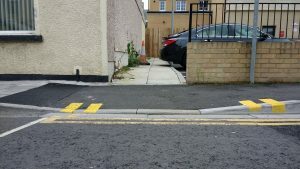 These can often be found on entries to garages, driveways or walkways and allow people with disabilities, parents with pushchairs and the elderly easy access to buildings. These dropped kerbs are installed by local authorities for residents who have specific access needs and allow them easy access to their own property. They sometimes have tactile flooring and are often marked with a white ‘H-bar’ marking. All information accurate as of November 2016, in Rhondda Cynon Taff. Legal requirements and fines may be subject to change and vary depending on the local authority. Please visit your local civil parking enforcement website for more information.